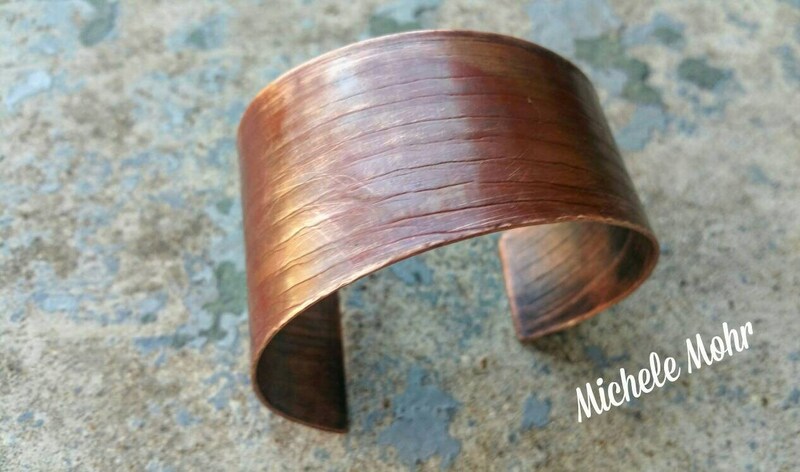 This unique asymmetrical textured copper cuff is created from copper sheet. 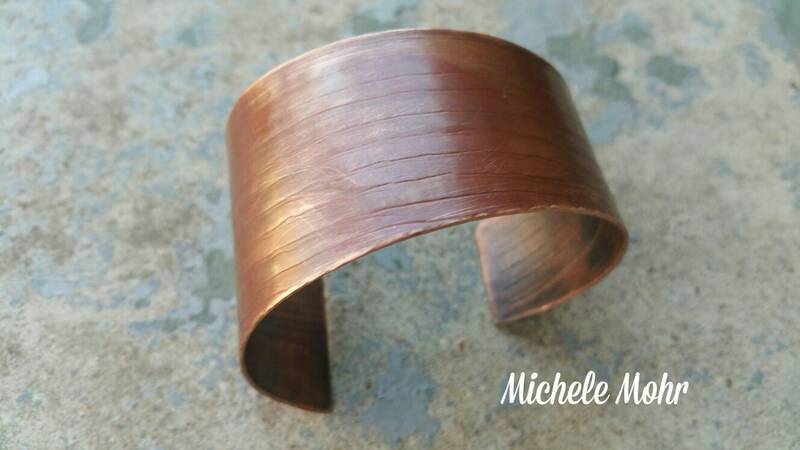 It has been handcut, textured, beveled and formed. Hand filed and sanded for smooth comfortable wear. 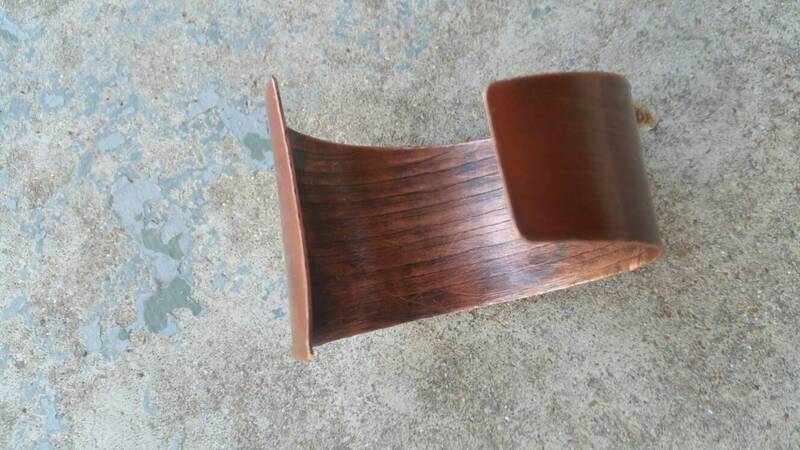 The vibrant color is created by heating the metal with a torch. Beeswax is applied and buff to give a sheen and assist in maintaining color, as well as providing a light barrier between the metal and the skin. The color will deepen with time. 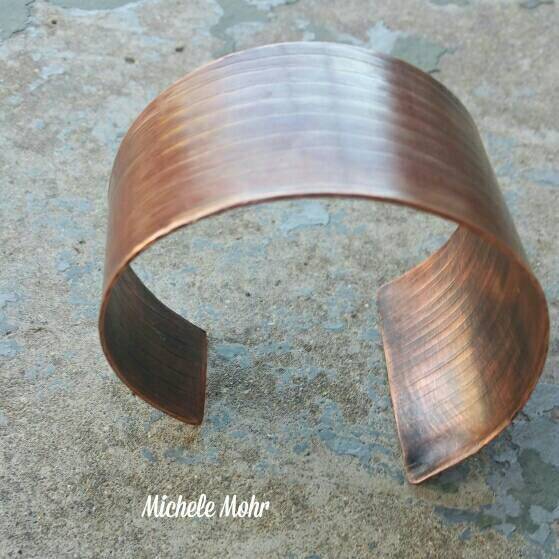 This cuff will comfortably fit a women's medium to large wrist comfortably. It will fit a man's small to medium wrist comforably. 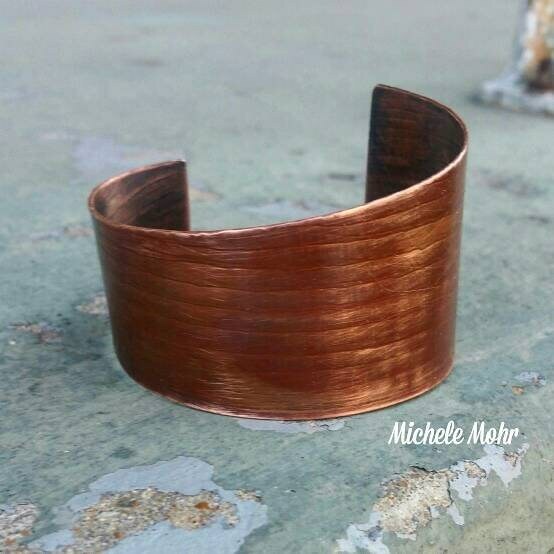 The cuff is 2" at widest and 1" at smallest point. Care: Avoid wearing in shower or in water. Best to store in drawstring bag provided.